How do the collision with Layer Colision And Player (and how implement player) ? And i don't know, how implement the player on the map (TMX -> tiled) and how the player will be block when he touch the Object Layer Colision. I saw on the source of Monogame Extended there was a Class "Colision" but i don't know how use this class. If one person can help me plz I would recognize that ! The collision detection code is still very much a work in progress. The Sprite Sheet Animations demo uses it but at the moment it's really just a rough prototype and not that useful I'm afraid to say. We are working on improving this part of the library. You should still be able tol roll you're own though. The Tiled map code should be complete enough to expose all the bits you need. Thanks for you're answer ! I find how player is in colision with world element and i will go write a tutorial for the person who have same ask. Well since im sort of on hold for the main stuff im working on till some of the major bugs are out of the newer version. I started writing a simple little scrolling tilemap since people keep asking about collision. Anyways i worked on this the last couple days ill prolly work on the collision stuff in a couple more days. If i actually finish it, i have a bad habit of getting sidetracked, Its not really pretty code wise, im sort of slopping it together here and there. 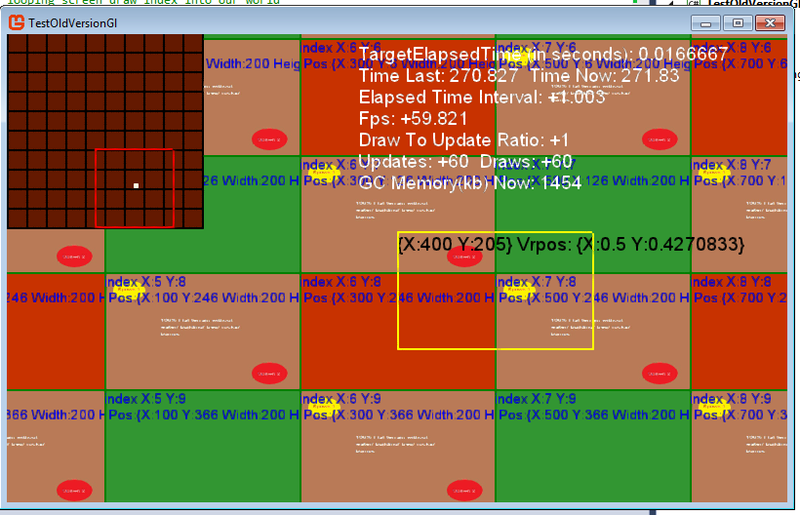 Its all in direct math, ill post it up when im done for anyone who is interested in collision culling.